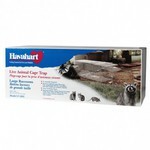 Havahart Havahart 1081 Cage Trap (1081) Northern Sport Co. 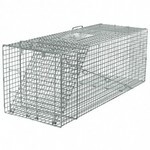 Ideal for trapping large raccoons, small dogs, foxes and similar sized animals. Havahart® large one door raccoon traps, designed and used by professional trappers, have one spring loaded door for safe, secure catches. 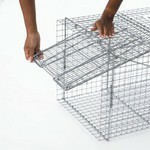 Animal control officers also trust and use these sturdy large raccoon traps -- so can you! Havahart® one door traps are constructed of sturdy rust-resistant wire mesh with steel reinforcements for long life and is galvanized for maximum resistance to rust and corrosion. Mesh openings are smaller than competing traps of comparable size to prevent escapes and stolen bait. 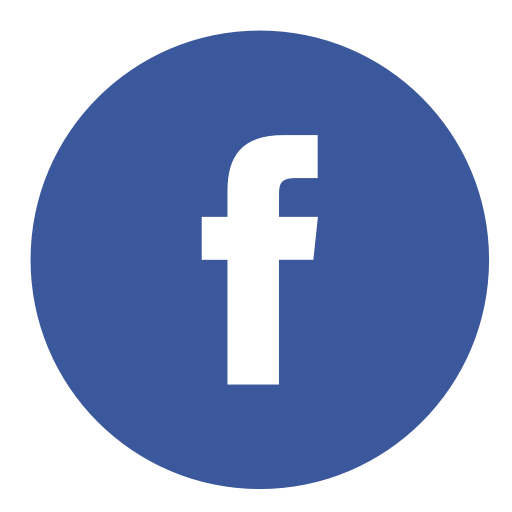 Spring loaded doors and sensitive triggers ensure quick, secure captures that target the specific animal size, eliminating undesired catches. 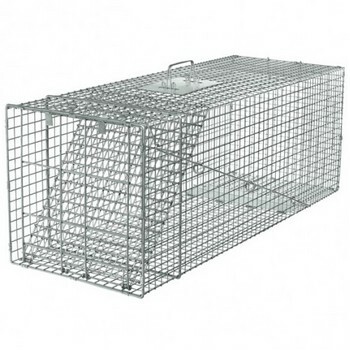 The Havahart 1081 XL cage trap measures 42"x15"x15"
Note: Additional shipping charges may apply to certain zip codes and on multiple cage traps shipped.